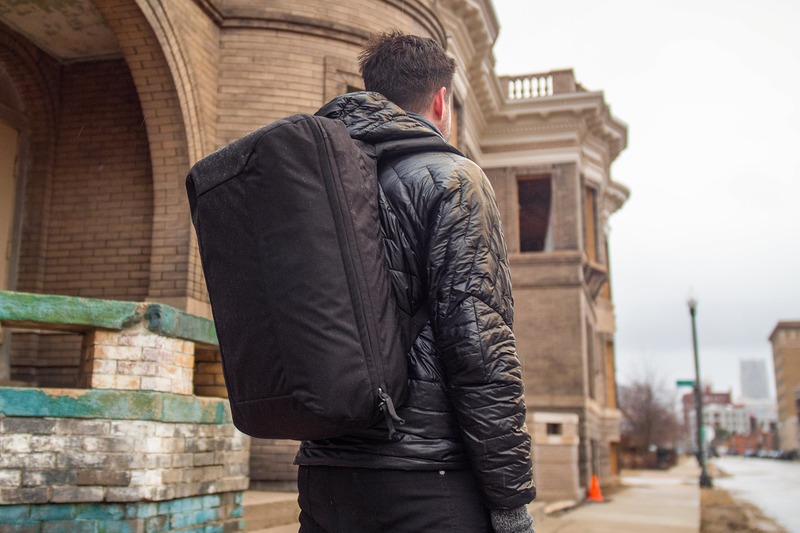 When you’re traveling with a lot of gear, you need a sturdy pack—and that’s what you’ll get with the EVERGOODS Civic Transit Bag. 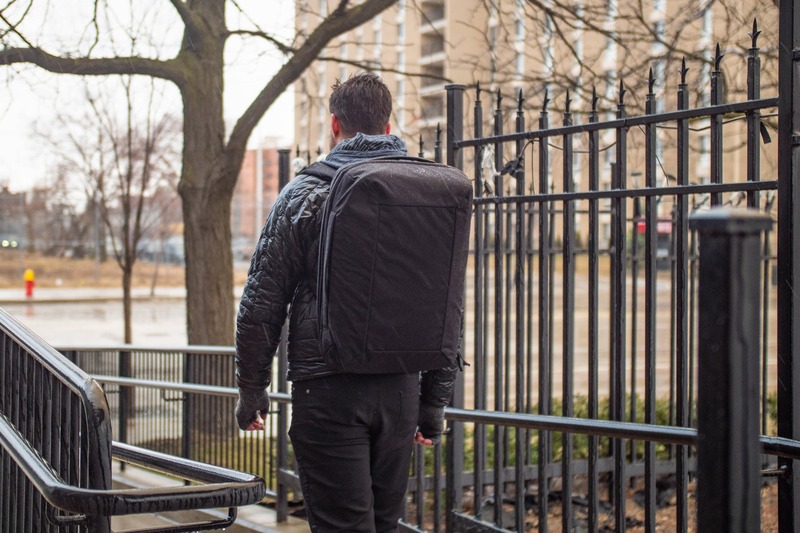 Called the CTB40 for short, this is a massive and durable travel bag that offers a comfortable carry, top-notch materials and some solid internal organization. We couldn’t wait to start testing it out, so let’s dive in and see how it’s been holding up out here in Detroit. That exterior fabric is also finished with a polyurethane knifecoat on the exterior as well as some DWR coating—both of which provide a bunch of additional weather resistance for this bag. And by the way, if you’re wondering what on earth a “polyurethane knifecoat” is, so were we. 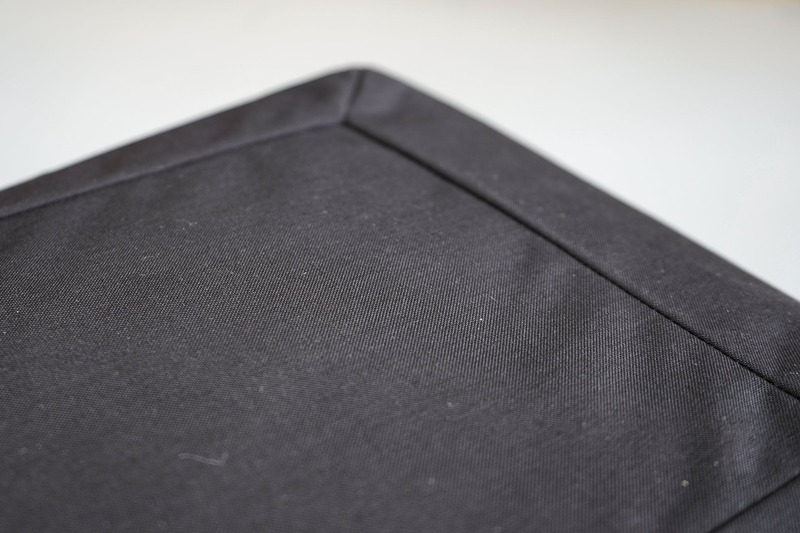 After a slightly embarrassing amount of Googling, we’ve concluded that it is simply a method of applying polyurethane (or any coating) where you cover the fabric with a ton of coating and then use a knife or blade to wipe off the excess to get it to the desired thickness. So, the fabric is coated in polyurethane and DWR. Which makes it more weather resistant. That’s really all you need to know. 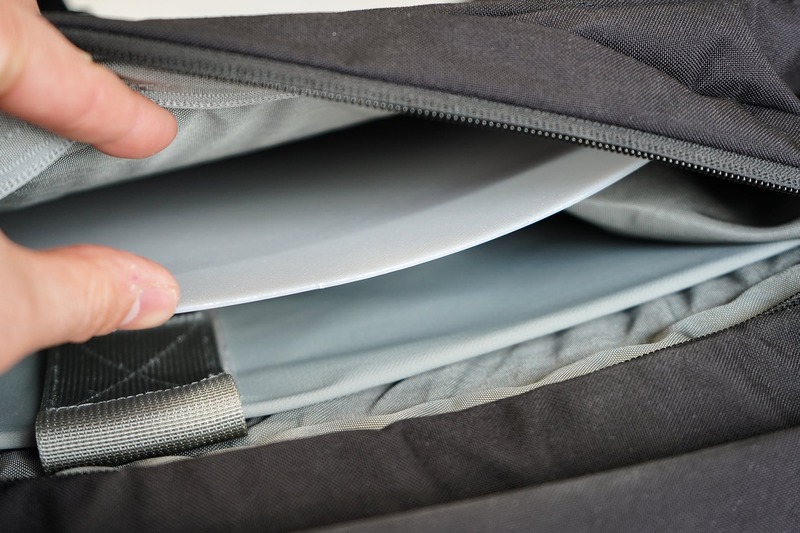 We were glad to see this new finish also keeps the bag from picking up excessive dust or lint, since that was a slight problem when we tested out the EVERGOODS MPL30 last year. It’s definitely a change in the right direction, and we’re glad to see they’re making improvements on their previous models. You’ll also notice that the materials used give this pack a pretty stiff exterior. 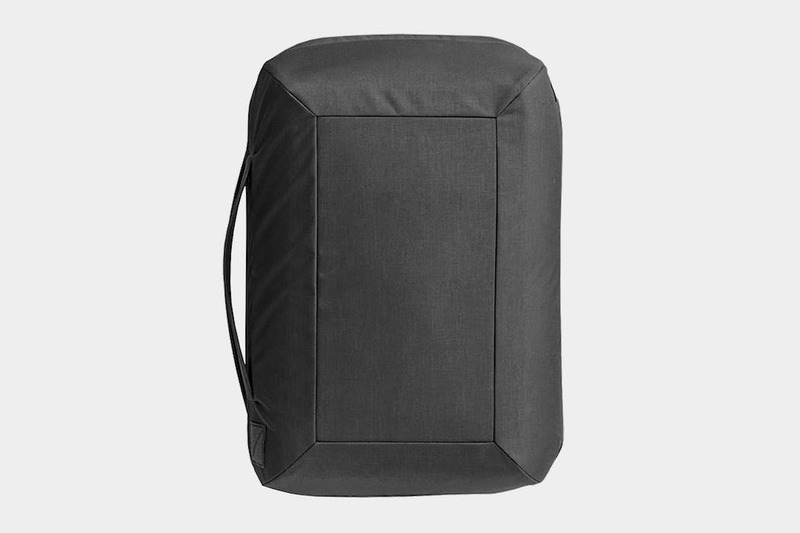 That’s partly due to a layer of foam placed between the interior and the exterior fabric of the bag, which helps it keep its shape even when it’s empty—similar to what you’ll find on the Fjallraven Travel Pack. There are even some aluminum stays in there as well that help give the bag plenty of structure and help maintain those clean lines and corners on the exterior. At the time of launching this review, the CTB40 is available in two different colorways: black and a standard gray (it remains to be seen whether this pack will get the bright red treatment other EVERGOODS bags have offered). The black is great for a more subdued, streamlined look, but we also really like the gray. Some of us think it looks a little “astronaut-esque,” which isn’t a bad thing (who didn’t want to be an astronaut when they were a kid?). Our Instagram audience wasn’t super into the appearance of this particular pack (73% said they didn’t dig the look)—but hey, to each their own. We’d love to hear your thoughts, so follow us on Instagram to get involved in future polls. From a branding perspective, there’s not much to say—and that’s just about what we’d expect from EVERGOODS. Their checkbox logo is embedded on the exterior of the pack right on the Velcro, plus on the sternum strap and a few spots inside the pack. It’s just about as low-profile as you can get, but anyone familiar with the brand will know exactly what it is (and might even strike up a conversation with you about it). 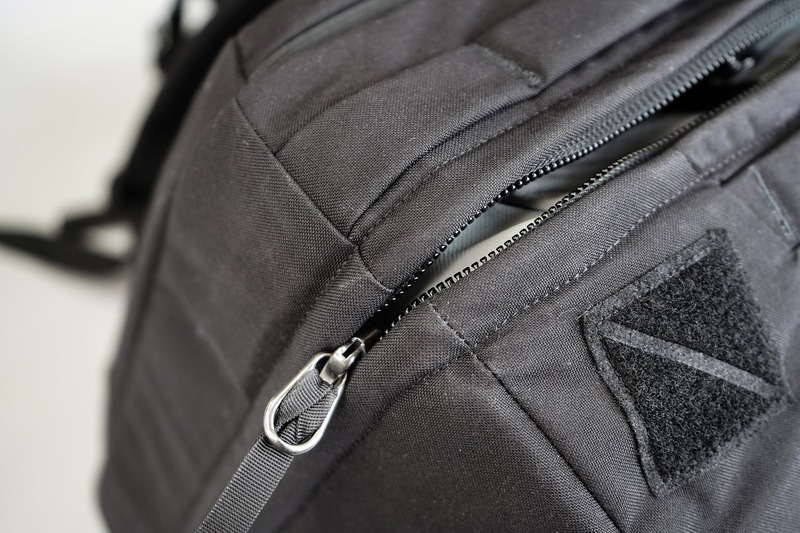 We’re not at all surprised to see that EVERGOODS has used high-quality materials throughout the construction of the CTB40, including a YKK #10 racquet coil zipper on the main compartment and #8 YKK zippers on other areas of the pack. Dense EVA foam on the shoulder straps and between the liner and exterior fabric give this bag its more boxy shape, and the plastic Duraflex hardware on the strap adjusters should hold up really well. 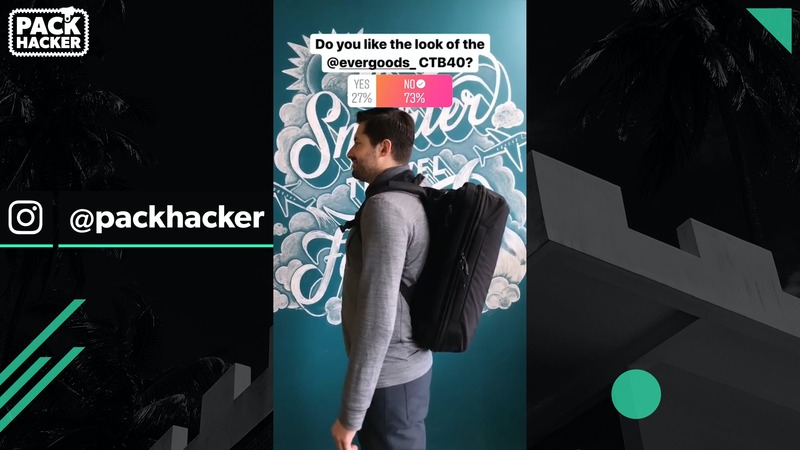 Checking out the CTB40’s external components, the harness system definitely scores points for comfort, which is similar to what we’ve experienced while testing other EVERGOODS packs like the MPL30. 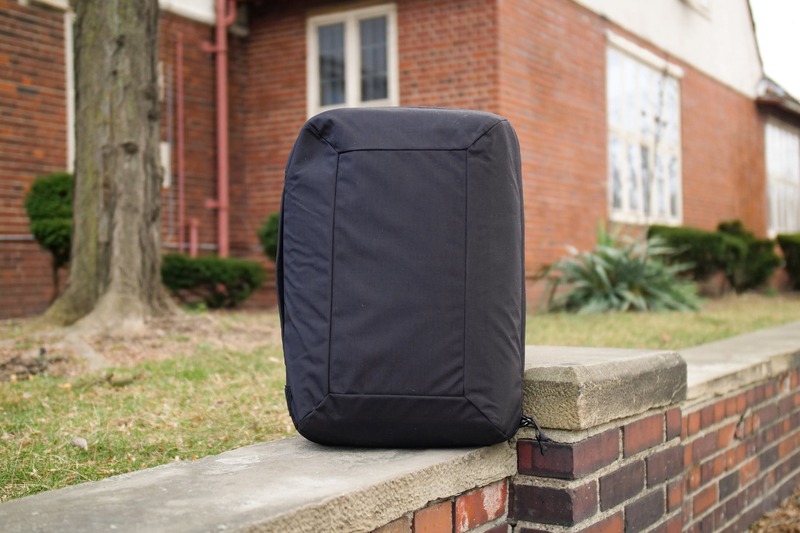 Despite being more boxy and rectangular, we’re happy to report it still has a comfortable and contoured feel, even though it does sit somewhat higher up on your back. The higher position also makes load lifters somewhat less necessary, which is a good thing, since the CTB40 doesn’t have them! Extra pieces of fabric at the top create a path for a hydration bladder, reminding us that this pack is still somewhat of a hybrid between travel and outdoorsy (or it’s trying to be, at least). We should also note that this pack does not feature a water bottle holder, which is a bit of a bummer. The sternum strap works well, but as we always point out with this particular type of strap, it’s a flawed design since it’s too easy to pull out by accident when it isn’t fastened. 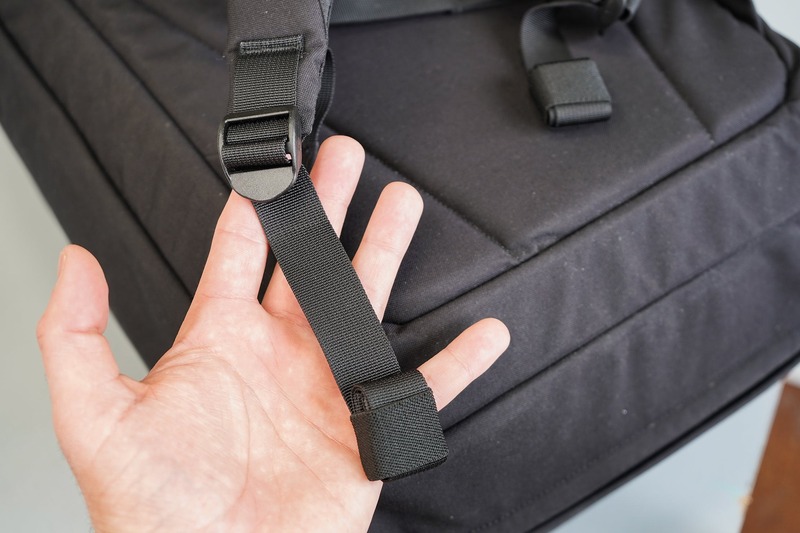 The Duraflex strap adjusters work well and feel durable, but even more exciting are the elastic keepers that EVERGOODS has been using (which we’ve seen on some of their other bags, too). These are super simple to operate—all you need to do is roll up the excess strap and then flip the elastic portion over it. We honestly love this feature (it’s the little things, right?). Finally, you won’t find a hip belt on the CTB40 and there’s no option to add one, either. With 40 liters in tow, you’ll be pushing it on comfort, especially if you’ve got a laptop or other heavy gear inside the pack. 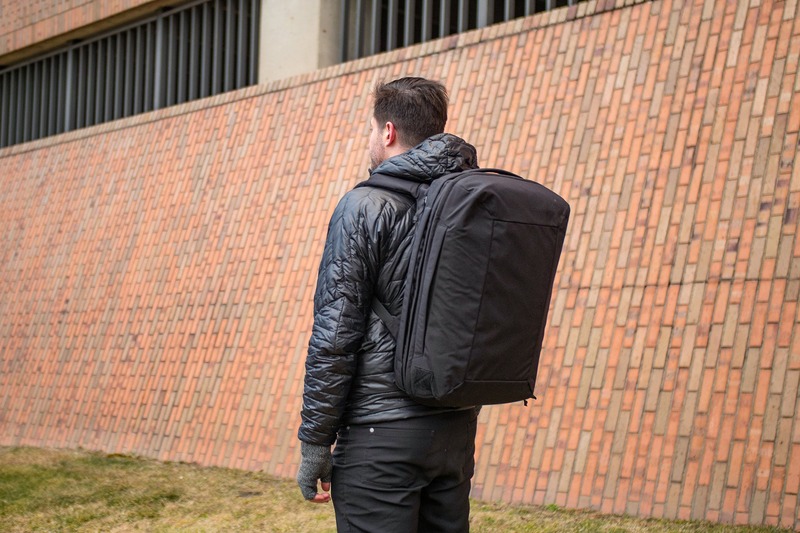 We’ve been making do, but it’s not the greatest if you need to carry a fully-loaded pack over long distances. It probably goes without saying, but we’d like to see a hip belt offered on future iterations. 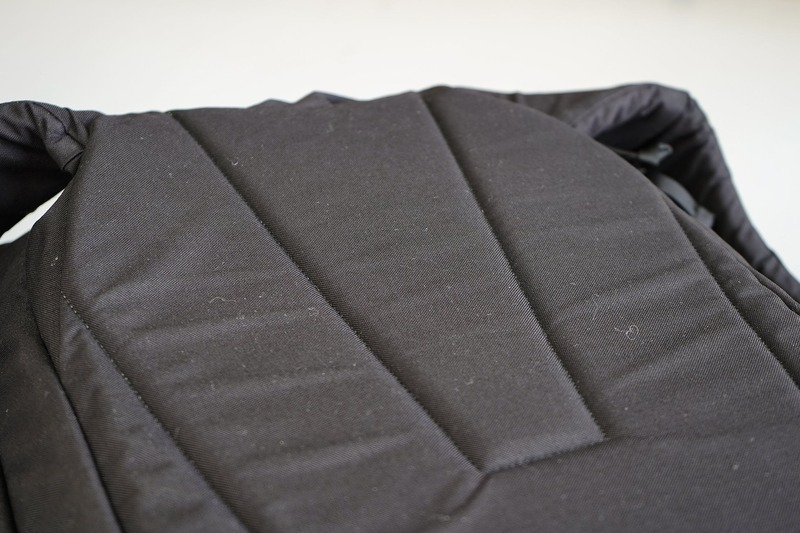 The back panel is nicely padded and has a frame sheet inside for extra structure, but there’s no additional mesh here to help with the inevitable back sweat you’ll face when wearing a pack of this size, especially in hot weather. There are three handles on the exterior of the CTB40: one low-profile handle at the top and two more on the side that are ideal for securely moving the bag when it’s unzipped. The rest of the exterior is pretty unremarkable, but in a purposeful way—no straps or wattle bottles will hang off the sides or make it more difficult to navigate a tight space, and aluminum stays help the bag keep its shape. Heading inside the pack, the CTB40 has a nicely-sized quick-grab pocket against the wearer’s back that’s ideal for tossing in any valuables (and keeping them far from anyone’s reach). This pocket is slightly taller than the width of a plus-sized iPhone, and a red key strap is featured here, too (a hint at that red colorway coming in the future, perhaps?). 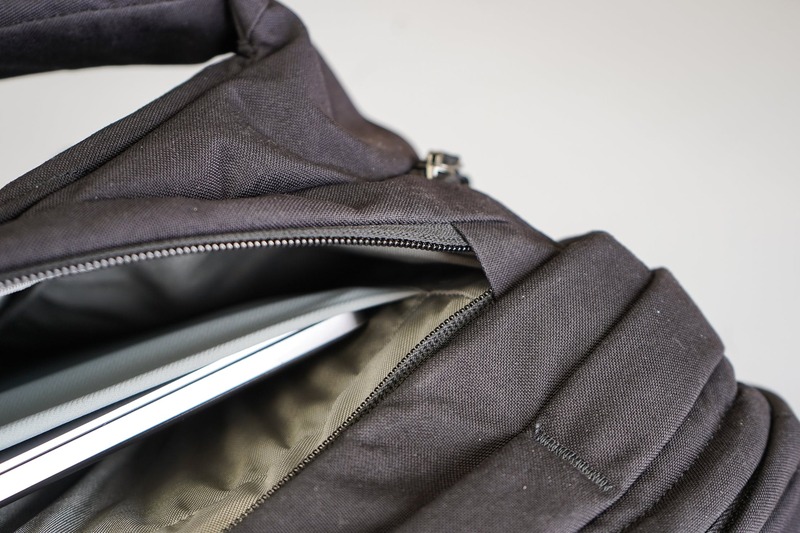 The laptop compartment on this pack is located on the side and easily fits a 15-inch MacBook Pro. 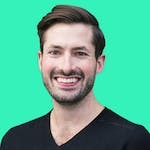 A 17-inch fits as well, but it might need to be placed outside of its singular mesh divider pocket – so you’d miss out on some of that extra floating protection. We did notice the laptop compartment is a bit stiff because of the integrated frame sheet on the inside. A custom frame sheet could be an option in the future (let Ruck Customs know if you’re interested!). We also appreciate the big, beefy piece of Velcro securing the laptop inside the pack. The real standout of the CTB40’s interior is its massive clamshell compartment. On the downside, though, the whole thing is a little tough to access due to some very sticky zippers on the main compartment—which is definitely the biggest gripe we’ve had while testing it over the past two weeks. 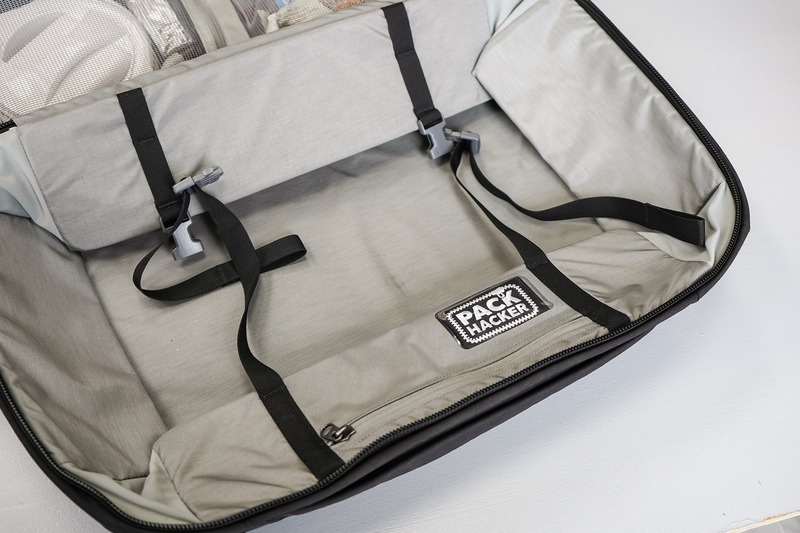 We initially thought that stickiness was attributed to the pack’s DWR coating, but it’s clear now that the welts on the exterior of the bag really affect its ability to unzip and zip quickly, especially on the sharp corners where there’s extra fabric reinforcement. 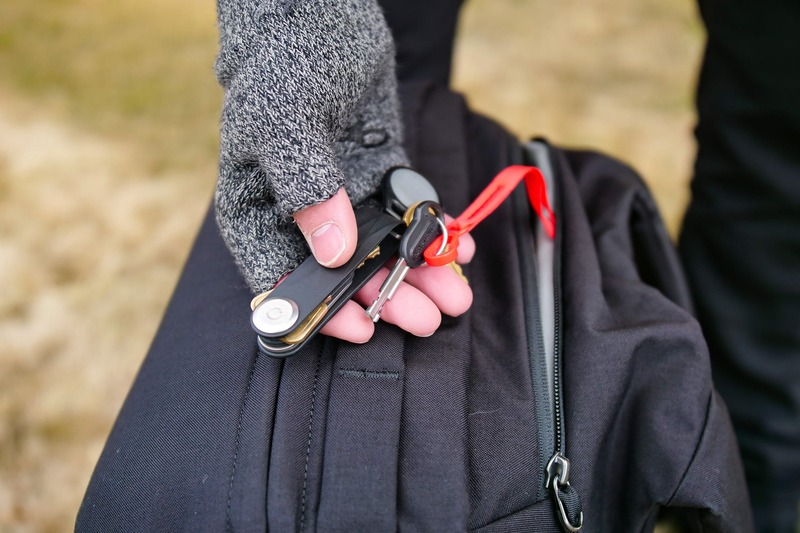 If you’ve been using the CTB40 for more than two weeks, we’d love to hear how your zippers are breaking in! Feel free to drop us a line. Anyway, back to that huge clamshell compartment that attracted us to the CTB40 in the first place. You’ll find a massive bucket on one side and a more organized section on the opposite. 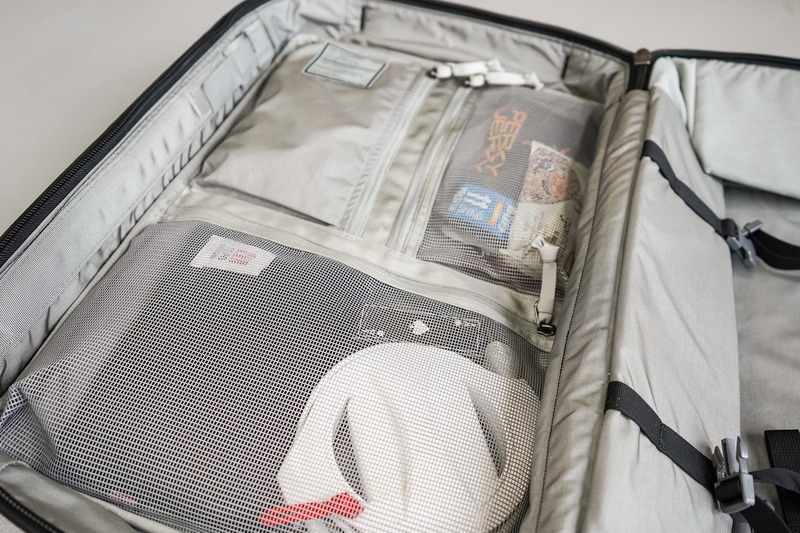 Since the larger, more open section is away from the wearer’s back, this is the perfect place to pack clothing (you can fit about two layers of packing cubes here). EVERGOODS also made this side a little taller so it could accommodate outdoor gear like a helmet or ski boots. The flaps on each side of this area can fold inward and down to form a bucket shape, or you can extend them to increase the size of the compartment significantly. 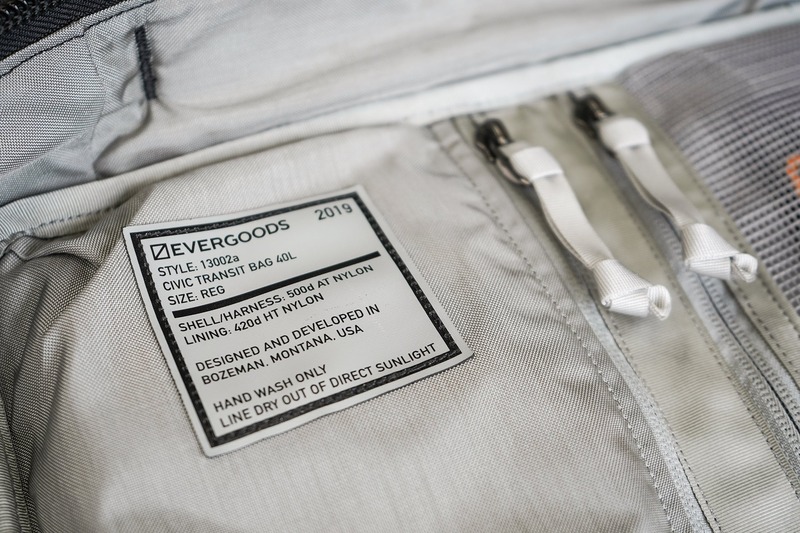 This is a pretty interesting feature that we have yet to see on other packs, so kudos to the EVERGOODS design team! We love to see new stuff like this. 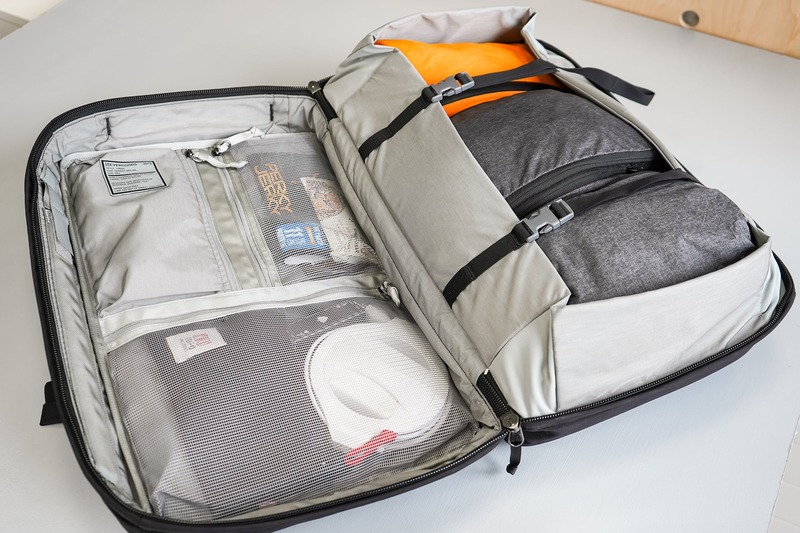 Plus, these flaps are useful for a bit of compression if you need to cram things in a little tighter, and one of the flaps features a zipper pocket that’s perfect for your passport and is easy to access from the main zipper. Moving on to the other side of the pack, you’ll find a slightly more shallow bucket compartment with some solid organizational features. One large mesh pocket has decent depth to allow for thicker items, and the top right pocket is also mesh. 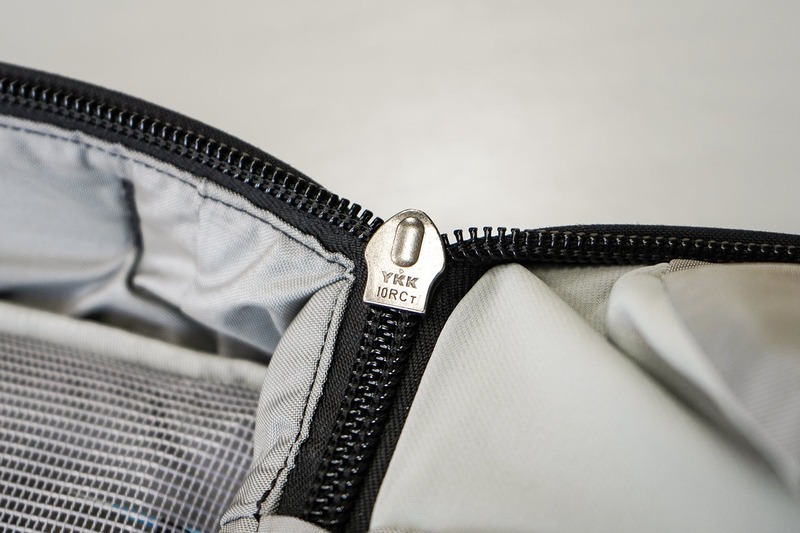 At the top left, a nylon liner pocket is more private and secure, and the outside of it features a rubbery tag with pack details like make, model and care instructions. We like that EVERGOODS went with a simple design for the CTB40’s interior. 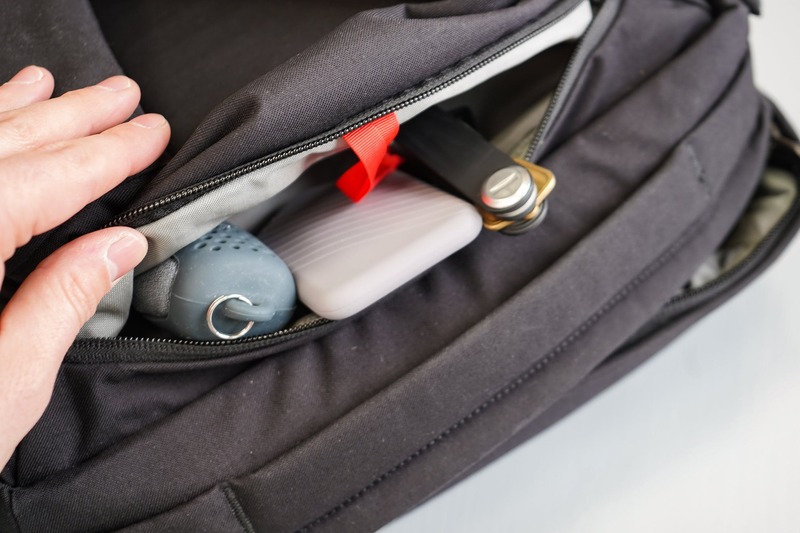 The three pockets offer a more pouch-like approach, which is super versatile, and it’s a breath of fresh air compared to other bags we’ve tested that go a little overboard with the organization. 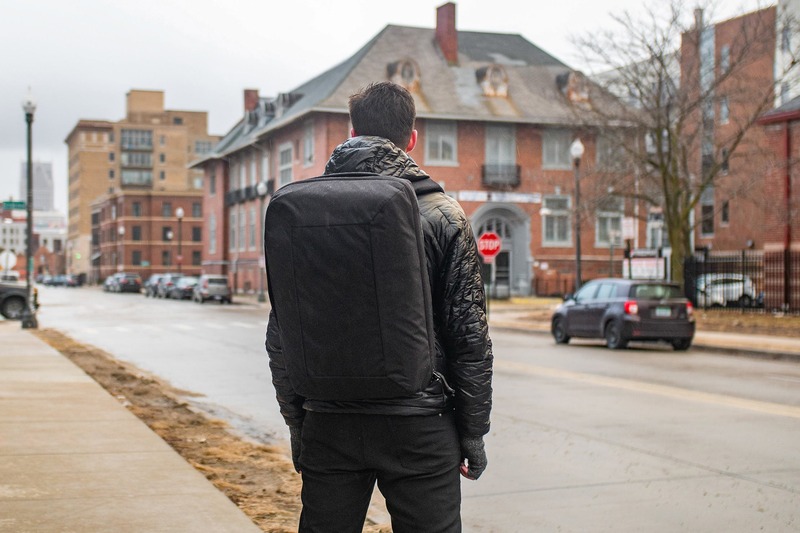 At the time of this review, we’ve been testing the EVERGOODS CTB40 for two weeks in Detroit and really putting this pack through its paces. We’re nearing the end of winter here in southeast Michigan and so the bag picked up a decent amount of dirt after biking outside in the snow and having the tires flick up salt, muck and slush. But beyond that, we have no aesthetic blemishes to report—and this bag has shown less lint accumulation than previous designs, which we’re happy about. Overall, we’re happy to say the CTB40 held up really well. EVERGOODS uses some of the best materials on the market, so this solid performance in usability and durability is exactly what we’d expect from them. We imagine it will continue to hold up well as we keep testing it. As we noted before, our main gripe with the CTB40 is the sticky zippers that currently prevent the bag from zipping and unzipping quickly. Still, it offers a comfortable carry, a streamlined look and a simplified organization system. 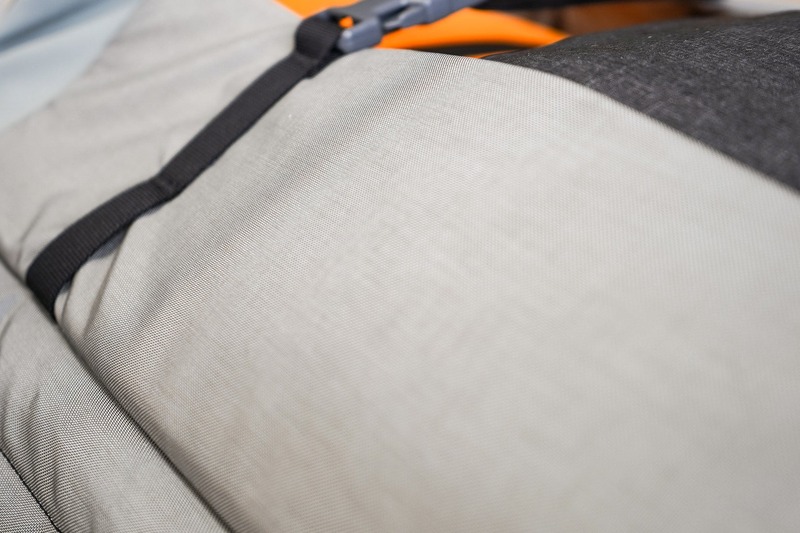 We always dig the standard EVERGOODS harness system. Comfy. Love the feel of the high-quality materials used throughout. Wondering if lack of hip belt will be an issue in testing. Zippers are stiff out of the box. Hoping they break in with time. Comfortable carry and nice organization, but zipper issues are a definite concern. Overall, the EVERGOODS CTB40 is a high-quality pack that uses some excellent materials backed with solid design thinking across the board. 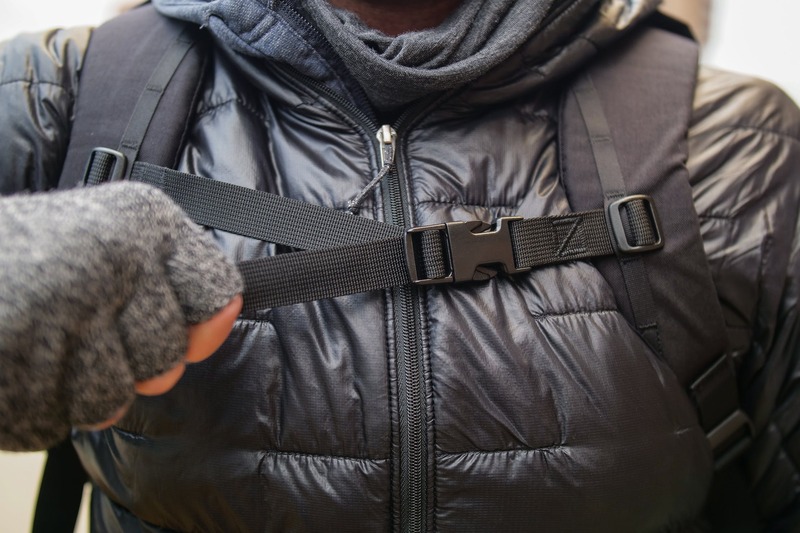 The harness system is really comfortable and innovative, although we wish there was at least an option for a hip belt on a pack of this size and capacity. The giant bucket paired with some options for organization are ideal for cube-style packing (our favorite). 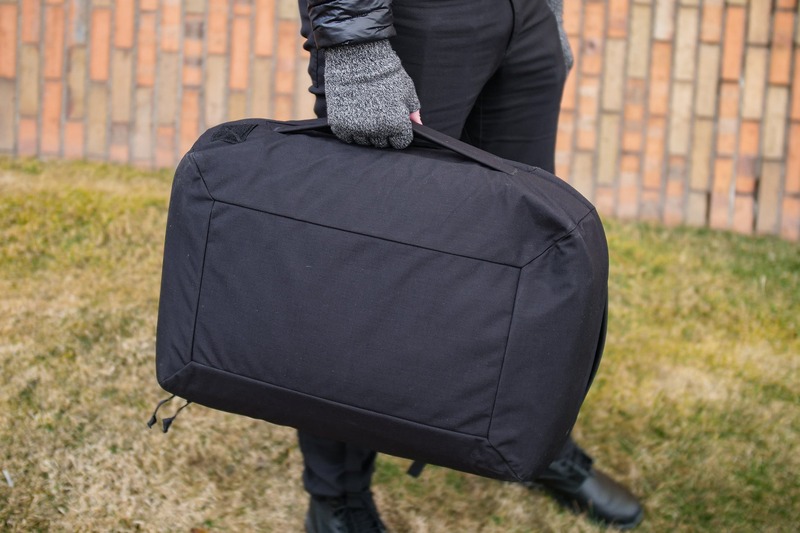 This is quickly becoming one of our favorite maximum legal carry-on rectangular-shaped bags, and we’re excited to keep testing it.